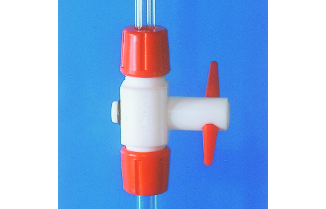 Stopcocks feature a pure PTFE body and plug and combine all the desirable properties of the Ultimate Laboratory Stopcock; Medium vacuum pressure performance, unbreakable, inert and grease free. 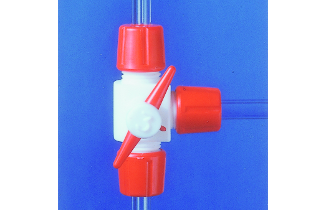 Plug cannot be accidentally withdrawn and have easily connected sidearms in glass or PTFE to give inert vacuum and pressure tight seals. 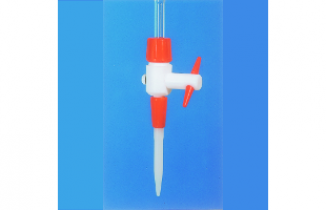 Stopcocks for use with burettes have glass or unbreakable polypropylene tips. Buret Stopcock supplied with 8mm sidearm in borosilicate glass, bore is 2mm. Push-lock tip is polypropylene or glass. Supplied with borosilicate glass sidearms.